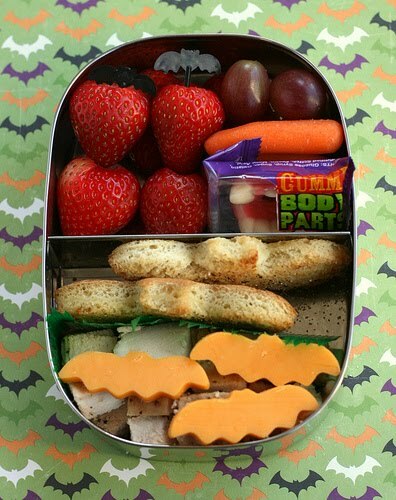 Have you heard of Bento lunches? I like the ideas at the deliciously beautiful site, AnotherLunch, though I wonder if some of them would be too light a meal for my sprouting sixth-grader. I like sending my kids with home lunches for so many reasons, but I have made the compromise of allowing them to buy lunch once a week (pizza day, of course). Amazingly, after years of this pattern they are finally tired of pizza day, and are more interested than ever in trying new combinations. My second-grade daughter is especially happy to help out right now. I haven't fully embraced the Bento ideas just because our lunch boxes aren't the right shape. However, I have added a cold pack plastic box full of vegetables or fruits; I don't know if it's the box or the fact that the food is chilled, but the kiddos are loving it.